Wow! I can't even believe how much time has been flying by these past few months! Our little guy will be 5 months old in just 10 days. CRAZY! We have really been pausing to savor his big milestone moments and all of those sweet little moments in between, this time around. I know all too well how fast this stage whizzes by! If you haven't had a chance to check out our Nursing Essentials Guide, our Newborn Essentials Guide: "Must-Have" Gear - For The First 3 Month's, or our Newborn Essentials: An On-The-Go Guide For Active Families be sure to check them out! Each guide is packed with must-have essentials that help to make those first few precious months with baby, sail by smoothly. 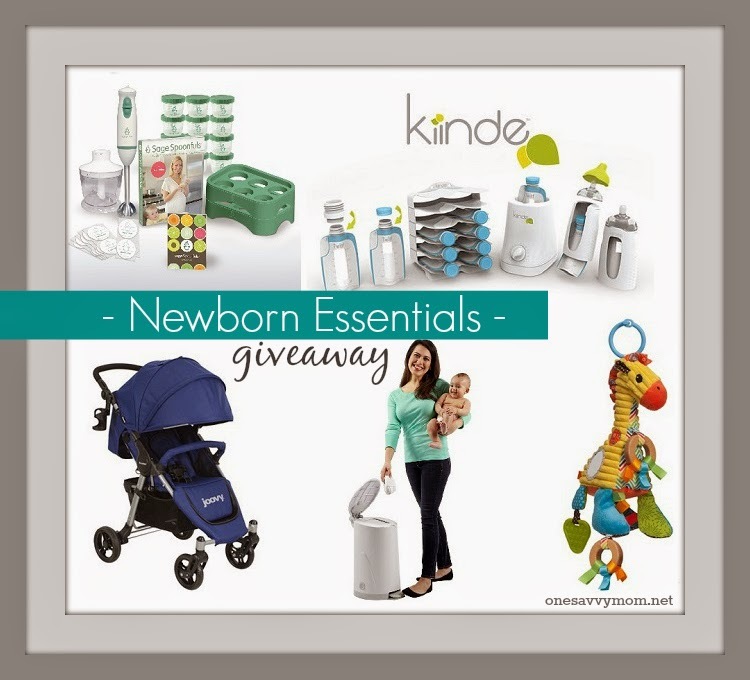 We are thrilled to be giving away a prize pack (pictured above) to (1) One Savvy Mom reader which includes 5 finds that were featured in our Newborn Essentials guides over the past few months. I hope you all have enjoyed our Newborns Essentials finds, thus far. We have so much more coming up over the next few months, so keep an eye out for more fabulous must-have finds for baby! *Disclosure: Samples were provided. All opinions expressed are our own.